Your muscles are tired and aching after a long day’s hike. You have had your meal, erected your tent, rehydrated and watched as the stars flickered to life. It’s time to sleep, and if you have done enough research, a well-rated, soft, and warm sleeping bag is important if you are to wake up re-energized come the following morning. You slide into your sleeping bag, and after a few minutes, you realize that the cold seems to find its way into the bag. You start to wonder what could be wrong. You are in a bag rated 20 and its only 25oF outside. You should be okay, right? This is precisely why a good sleeping bag comes in handy. 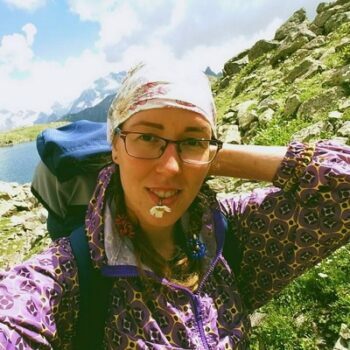 If you are unfamiliar with the Western Mountaineering, you should know that this company is one of the best sleeping bag manufacturers. It is well-known for making compressible, and lightweight products with the 850+ fill power goose down. With just a weight of 1 lbs. 13 oz., the Ultralight is one of the most versatile yet lightweight gear available and can easily compress into an eight-liter waterproof stuff sack. The Western Mountaineering UltraLite Sleeping Bag can be used to move through different climates during hiking trips and summer bike tours. You can sleep on it, or in it and no one would care. When the temperatures fall, zip up and get under the hood where you’ll be warm owing to the draft tube and a full down collar. The UltraLite sleeping bag comes in blue, and in different sizes ranging from five feet to six feet either for the right or the left zip. It all depends which side you need to have a larger fit. The actual bag is 11*12*17 inches, with a shipping weight of about 1.63 pounds, perfect for camping and hiking. 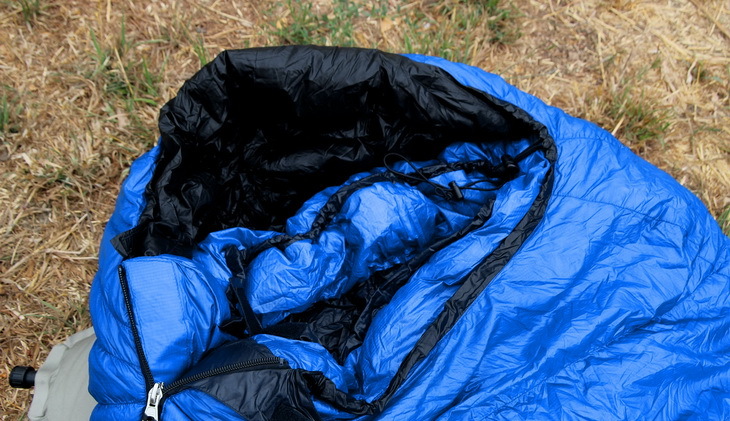 The horizontal baffles on the sleeping bag make for a simple-to-use thermostat. It’s down chambers surround the gear from zipper to zipper, making it possible for you to shift the down towards the top for cold nights. On the other hand, it’s possible to shift material underneath the bag during warmer nights. Opening the sleeping bag and laying it flat allows you to press down and run with your arms in any desired direction, pushing the insulation in the areas you need it to be. Similar to the AlpinLite, this bag incorporates a reverse differential hood that is amazingly comfortable. This implies that the fabric on the bag’s interior is larger compared to the shell fabric. The hood covers your head, providing the comfort desired and is suitable for trapping the heat without the need to tighten it much. Western Mountaineering utilizes a one-inch tape on both ends of the zipper which helps in facilitating an easy, snag-free functionality. The draft collar on the bag and the draft tube on the zipper are lofty; they mate perfectly, keeping the cold air out and the warm air in. Nonetheless, Western Mountaineering should come up with a different technique for closing the hood and the draft collar of the UltraLite. The good thing about this draft collar is that it allows minimal cold to get into the bag. Both Closures are pieces of Velcro which are difficult to identify and operate and don’t open easily during the night. 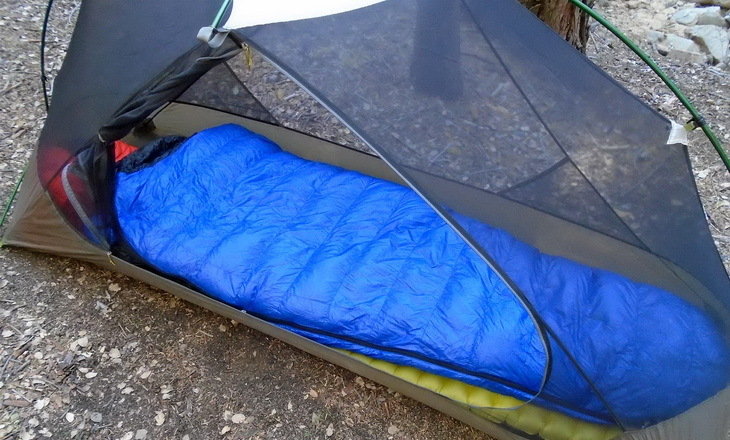 The UltraLite is one of the most versatile outdoor sleeping bags. This piece of equipment is capable if unzipping during warm weather condition and can also be used in temperatures of twenty degrees Fahrenheit as rated. For people who experience the cold earlier than others, or during extra cold nights, it’s possible to add a lighter weight jacket to help boost the warmth of the bag. The continuous baffle design allows the user to regulate the temperature further. Even for a weight-conscious individual, this 1 pound 13 Ounce sleeping bag is quite reasonable to include in your backpacking gear list and is warm enough for use in cold nights or at higher elevations. The twenty degree Fahrenheit rating of the Western Mountaineering UltraLite Bag is pretty conservative. 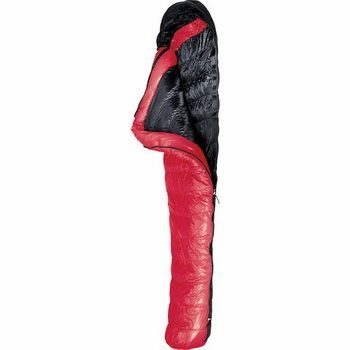 This sleeping bag is certainly on the warmer ends of any twenty degrees bags available. This outdoor gear is designed to provide the warmth you would expect from any well-established brand. 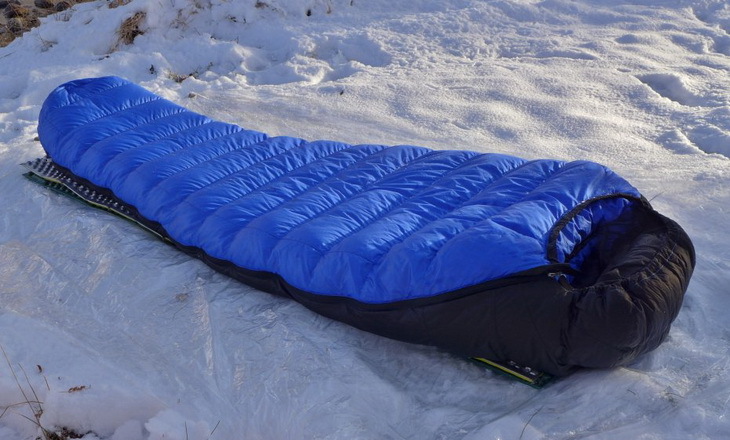 Similar to the MegaLite, this sleeping bag incorporates continuous horizontal baffles. Its design makes it possible for you to shift from the bag’s top to its bottom, and vice versa. It’s quite a functional gear that allows you to control the temperatures inside it; you can add more insulation on the top during cold nights. The UltraLite also offers an opportunity to shift that down to its bottom where you can compress it to keep you warm during the warmer nights. A regular length UltraLite gear weighs 1 pound, 13 ounces. This is among the lightest sleeping bags that are rated to temperatures below twenty-five degrees Fahrenheit. Moreover, the UltraLite is lighter compared to most bags rated in the range if 30-35oF. What’s even amazing about this piece of outdoor equipment is the fact that the UltraLite is significantly warmer compared to other 20oF brands, yet lighter in weight than most of them. The UltraLite utilize “Extremelite,” a shell of 12D fabric, which is similar to what the MegaLite uses. This fabric is insanely light as it weighs less than an ounce per square yard. The ultra-fine yarn which makes up the fabric is ultra-compressible and soft. Although somewhat fragile, the down-proof fabric largely contributes to the low weight of the bag as well as its compressibility. Another essential contributor to the low weight of this bag is its slim cut. Since it utilizes less material, the UltraLite has succeeded in cutting a handful of ounces from its overall weight. Soft, lofty, and lightweight materials make this product a very attractive place to lay your head after a long day’s hike in the wilderness. Nonetheless, the hip girth, as well as the narrow shoulder, make it less comfortable compared to the MegaLite, Sierra Designs Backcountry Bed, or the Nemo Salsa 30. People who love to sleep on their back will hardly detect this, but for the tummy and side sleepers, it’s likely to be noticed. In general, the UltraLite offers the softest and most comfortable feeling than you would ever expect from a different bag of the same rating. Apart from its narrow fit, the UltraLite Sleeping Bag consists of a down collar which runs on the upper chest to prevent the heat from escaping when moving around during the night. The gear has a full zipper that is essential for venting in warmer weather, and a down-filled draft tube that prevents side drafts. The UltraLite sleeping bag has interlocking draft tubes and a full down collar that will wrap snuggly around your neck to help insulate and prevent any heat loss. The draft tubes run along the bag’s zipper to keep you insulated and prevent any heat from escaping between the zipper coils. The outer shell is not only water resistant, but also breathable and goes a long way in protecting you and the down from condensation. Your bag will always stay dry even if it touches the wet sides of your tent or when you have been sleeping under the stars on a dewy night. And that’s not all. There is a 5 ¼ inch spacing of continuous baffles that encircle the sleeping bag from zipper to zipper making it very compressible, light and toasty warm. Moreover, they lack a side block baffle that allows you to shift down the baffle chamber and to fully adjust the temperatures during the warm weather. When it’s hot, you are advised to lay your bag down flat and move some baffles towards the bottom for less insulation at the top. During the cold nights, you can now move the baffles back to the top to increase the insulation. A five inch of loft has a temperature rating of 20 degrees Fahrenheit that guarantees you warmth during those cold nights. Whenever it gets colder than expected, you can always layer up on extra clothing or use a fluffy sleeping pad to provide you with additional warmth. At about $500 for a regular length gear, the UltraLite is quite a worthy investment. Additionally, if this bag can sustain over ten years of use, and is your go-to gear for most, if not all, your backpacking adventures, along with the periodic ski touring or mountaineering adventure, then the bag is an excellent investment. There is no warranty information or guarantee pertaining to the purchase of the sleeping bag given on the site. You are advised to contact the manufacturer directly when you need more information or whenever you need to return your sleeping bag in the event that it’s either damaged on delivery or it just does not satisfy your backpacking needs. Western mountaineering manufactured yet another amazing sleeping bag to compete with the UltraLite in the market. The Western Mountaineering Alpinlite comes in one color, and only one size of 5’6 inches on the left zip. It weighs about 3.07 pounds with dimensions of 11*11*29 inches, and an 850-fill down insulation. One of its most unique features is the 3-dimensional full down collar that is both comfortable and keeps you warm throughout the night. What’s more? A full length YKK zipper and 5 inches of loft with a twenty degrees Fahrenheit temperature rating. It compresses really well, which enables you to fit it nicely in a stuff sack or your backpack. Additionally, it’s also a very roomy bag and accommodates any movements you might have when you are sleeping. The nylon material goes to show just how durable and breathable the sleeping bag can get. What might have you considering buying the UltraLite instead is the fact that the AlpinLite only comes in one size. This may not go down well with those of you who need a variety of sizes to choose from depending on their body sizes. The other factor is the price. The AlpinLite goes for approx. $550 which is quite costly when compared to our reviewed sleeping bag, which will have you saving a few dollars that you can use in purchasing other items. If price is not an issue for you, then you can consider getting the AlpinLite, which is among the best sleeping bags in the 20 degree range. 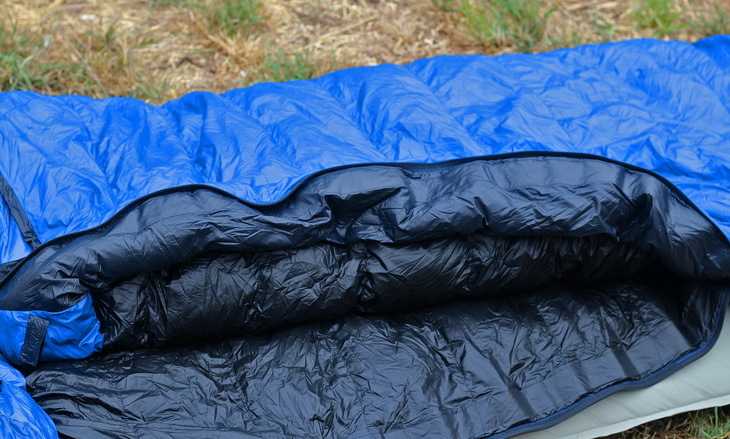 With a weight of just 1 pound, this is one of the ultralight sleeping bags we have out there. The Marmot Plasma comes in a slate gray or atomic blue color and a long or left hand size. The shipping weight is around 3.75 pounds with a package height of 5*8*14 inches. 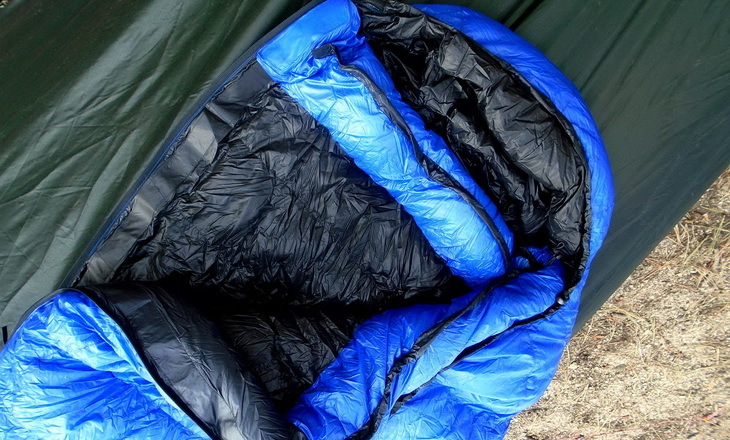 This sleeping bag is designed to increase the thermal value without adding any extra weight. The marmot-plasma has a temperature rating of about 15 degrees Fahrenheit, but you need to carry extra pieces of clothing just in case you encounter extreme temperatures that the bag cannot handle.. The vertical baffle system has the ability to reduce weight and transfer heat from the core of your body to other areas. It’s also packed with an 875+ fill goose down that guarantees you warmth during the cold nights and makes the bag water resistant in case you are in wet conditions. The lofty fill lets your body to breath on the hot nights, which gives you extra comfort as you sleep. What you will love most is that you can use this bag all year round. 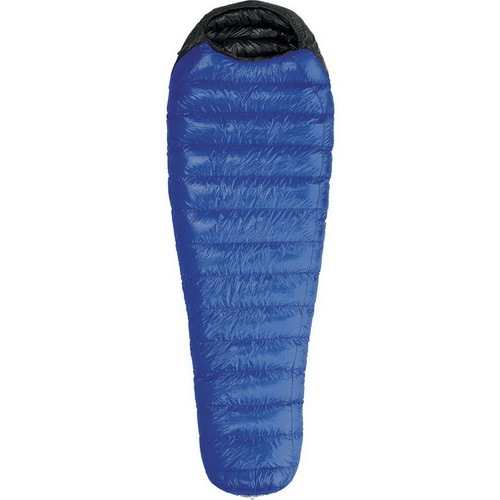 The superior features make it a high end sleeping bag with a high price to match, approx. $600. This price is definitely not for the faint hearted backpackers who always go for cheaper options. If this is you, then you just have to consider other options, like the UltraLite sleeping bag we reviewed earlier on. The Kelty SB comes in citron and has a long or right zip that comes in handy during your camping and hiking trips. It’s an ultra-light bag that weights a little under 1 pound, making it very easy to carry around. With a revolutionary DriDown box that is water resistant, this is the bag for you when you are out in wet conditions. The natural fit shoebox ensures that you get the right fit without feeling that your toes are left out in the cold.one of its most unique features is the 60 inch dual-slider locking zipper and draft tube that keeps in the warmth and lets in air during the hot summer nights. Apart from that, there is the box baffle construction that will give you a better thermal efficiency, and more warmth, such that you don’t have to layer on extra clothing at night. The draw strings also come in handy in preventing heat loss as you sleep, as they keep the hood intact. This bag has a thermal comfort hood fit that provides you with maximum insulation without compromising on the comfort it offers. Moreover, the hood and foot have waterproof treatment to ensure that even in the wet conditions, you stay as dry as possible. 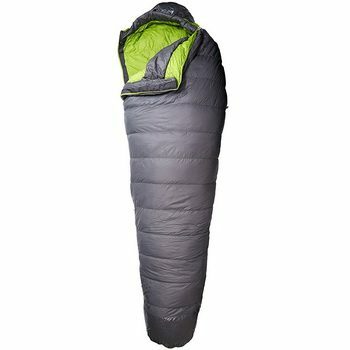 Going for about $400, this is the best value for your money, when compared to other sleeping bags in the market. If you cannot afford to spend so much on a sleeping bag, then the Kelty DriDown is what you should think of buying. The purchase gets you one bag and a stuff sack that you can use to store your bag and other items you might need for your trip. The Western Mountaineering UltraLite Sleeping Bag is one of the best outdoor equipment. Although it offers a few disadvantages, it is a fantastic bag that has all the features you would expect from a bag of its type. The UltraLite is warmer, lighter, and the most compressible gear for its temperature rating. If you are a cold sleeper, this sleeping bag is tough to contend for weight, comfort of materials, packed size, and warmth. Keeps you warm even in temperatures as low as 8 degrees Fahrenheit. Has a breathable fabric and is water resistant. Can be too narrow in the shoulders and hips, making it uncomfortable when trying to move around when sleeping. Lacks a double foot insulation, which exposes your feet to extreme cold. 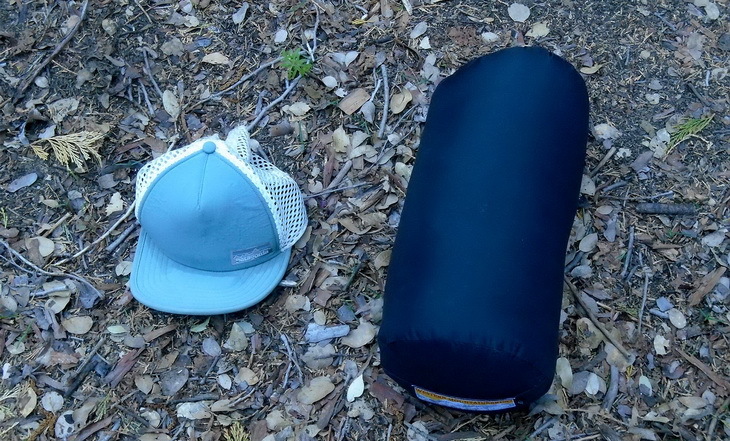 Apart from that, the UltraLite offers the best value for money and is probably the best sleeping bags for its price whether regular, short, or long. Through Our review of this bag, we have been able to bring out the most essential features that you need to be aware of when purchasing a sleeping bag for all your backpacking adventures. However, you will need a few pointers to ease the burden that comes with buying decisions. When you are in need of a versatile backpacking sleeping bag, do not hesitate to go for the UltraLite gear as this will give you the utility you would expect from an outdoor gear. This bag is an excellent investment as it helps you save money in the long run due to its durability aspect. 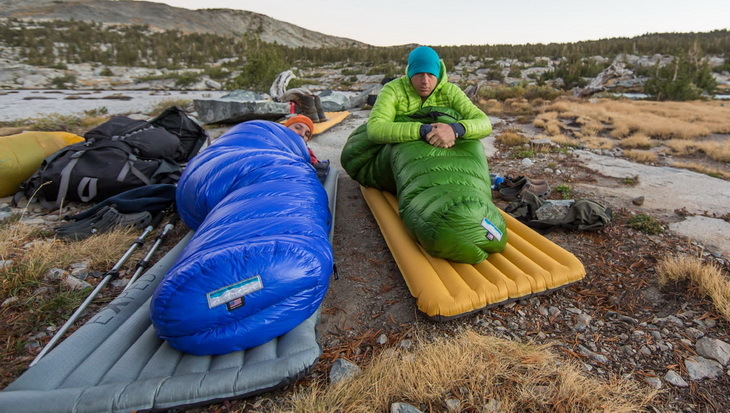 Next time you think of a sleeping bag, consider UltraLite. So, there you have it! 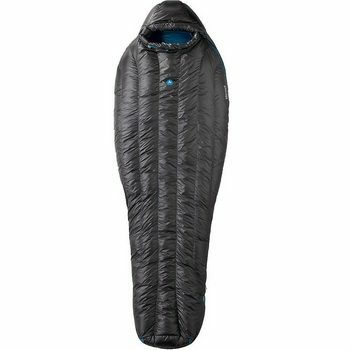 Do you have other sleeping bags you believe can contend with the UltraLite given the same price and temperature rating? Do you have any suggestions or recommendations about outdoor survival? Please let us know by posting your comments below.